Nokia's Windows Phones are expected to be among the first Windows Phones to ship with the Mango operating system already on board. This is very similar to the MeeGo based Nokia N9. Nokia 800 aka SeaRay in black and magenta colors, official marketing materials of Nokia showing Nokia Lumia 800 and Nokia Lumia 710 has been leaked to Internet. 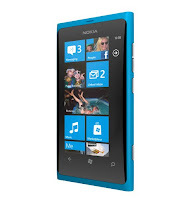 Win rumors posted the images of it which revealed that Nokia Lumia 710(Sabre) will have 512 MB RAM and 8GB memory and Lumia 800 has same attributes as Nokia N9. The Lumia 800 is available in cyan, black and magenta, Chief Executive Officer Stephen Elop said at the Nokia World event in London today. Espoo, Finland-based Nokia also introduced the Asha family of lower-priced handsets. Windows Phone may be Nokia’s last chance to claw back share in the smartphone market after the company lost more than 63 billion euros ($88 billion) in market value since Apple introduced the iPhone in 2007. Elop teamed up with Microsoft to speed time to market, while U.S. software maker needed a major handset player to give credibility to its latest push into mobile software. 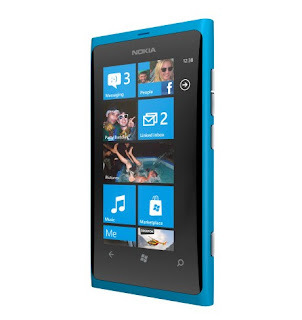 Lumia 800 is priced at €420, or about $585. It's already up for pre-order now, and is scheduled to roll out across France, Germany, Italy, the Netherlands, Spain and the UK, beginning in November. As for the camera, it's got an f2.2 aperture, and is designed specifically for low-light environments. It seems pretty similar to what you'll find in the N9, and according to Nokia, it's simply a camera that works for "ordinary people, under ordinary circumstances."